Despite the current pumpkin shortage (it's a terrible thing to happen to fall baking), my craving for pumpkin-related items cannot be quenched. So when a coworker brought in some pumpkin spice candies, I heard the calling for a cookie. One thing I know for sure is pumpkin + chocolate is amazing. So these cookies had to have a rich chocolate coating. They're really easy to make, too, which is always a nice treat. Make some shortbread (adding fall spices, of course), and roll it into balls. Flatten the balls in preparation of the candy hiding. Place the candies on the now flattened shortbread, and smother bundle them with shortbread. Since shortbread has no eggs, this is the perfect opportunity for snitching...but I digress. Bake them, frost them, and you're done! An easy and tasty autumn treat. 2. Combine butter and brown sugar in medium bowl until smooth. Add vanilla. Combine flour and spices in a separate bowl, then add flour mixture to butter mixture. Mix well. 3. 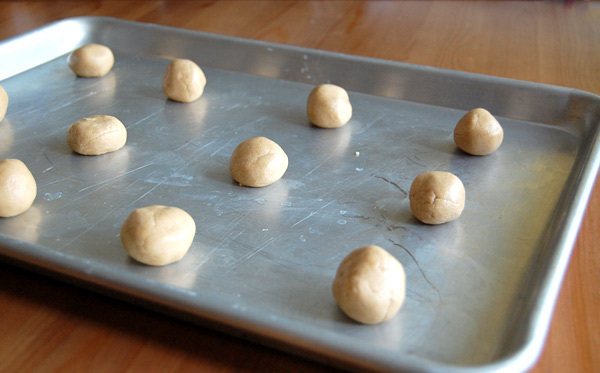 Shape dough into 25 1" balls, placed 2 inches apart on an ungreased baking sheet. 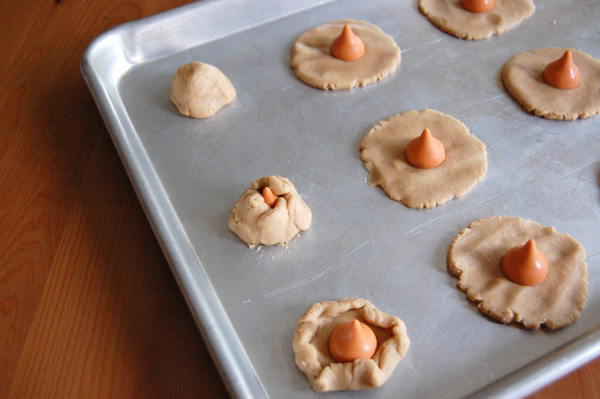 Place one candy in the center of each round, then enclose the candy with the dough. 4. Bake until golden, about 12-15 minutes. Let cookies cool on the baking sheet for 10 minutes, then transfer to wire racks to cool completely. 5. While cookies are cooling, heat cream in microwave for 30 seconds, then pour over finely chopped baking chocolate. Stir until smooth. If lumps will not disappear, heat for 5-10 more seconds and stir again. 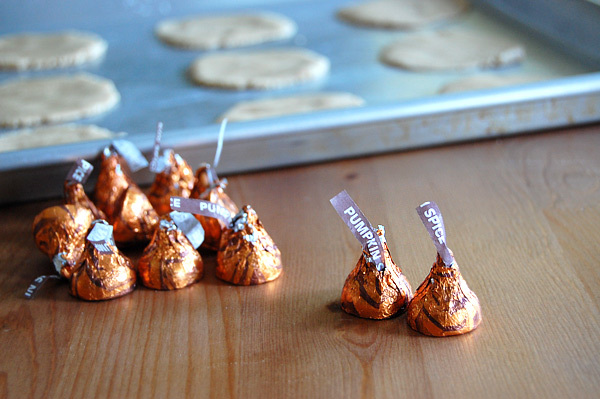 Put a dollop of chocolate on each cookie, then spread it around. Let chocolate cool before storing.